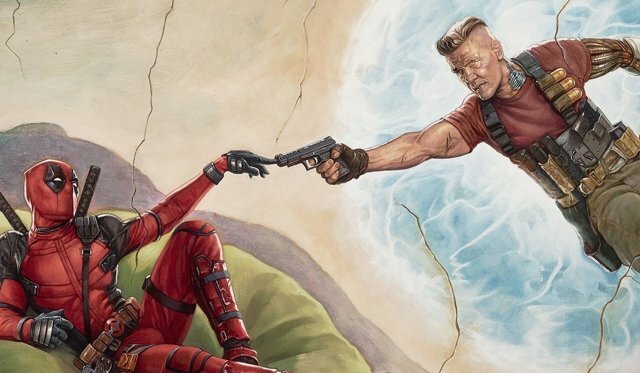 Everyone’s favorite Ryan Reynolds superhero has to fight nobody’s favorite Josh Brolin Marvel villain in order to protect the kid from Hunt for the Wilderpeople, which is a task that all of us should take on in our daily lives. So I’m going to be upfront about this. I liked this movie as I sat in the theater. I laughed when the movie wanted me to laugh. For the most part, I got emotional when the movie wanted me to get emotional. In general, I had a stupid smile on my face throughout the film’s runtime. I remember almost nothing about this movie. It’s been five days. I don’t think that is necessarily a bad thing. I got what I wanted from that movie, and was actually pleasantly surprised by how much I liked it. I don’t think it’s meant to be a movie that really sticks to you in a meaningful way, which I can respect. That said, it can’t be a good thing that I remember so little about it. I don’t think this is anyone’s fault, necessarily. Reynolds is just as perfectly aggravating and weirdly charming as he was in his first go-around, and this movie doesn’t bog itself down with an origin story I really could have done without. He even allows his character to have a nice little arc, kind of. I’m not convinced he does anything he does in this movie for the right reasons, and I don’t think he’s learned anything, but Deadpool’s climactic moment at least feels relatively earned. However, I think the credit for that goes entirely to Julain Dennison, as Russell Collins, a young mutant who is seeking revenge against the bigotted boarding school that has tortured him. Dennison puts on a clinic in this movie, hitting every beat his character needs to hit with absolute perfection. He’s funny when he needs to be funny, which is quite frequently. He’s scared when we first meet him, as the police surround him, all while the head of his boarding school beckons him to return. He’s terrifying as he finally gets an opportunity to seek his revenge. He’s the only reason the Deadpool scene hinted at above even remotely works, as the script and Reynolds’ performance focuses too much on making it a classic Deadpool moment, but Dennison is able to reign that in impressively. Dennison came onto the scene, at least for me, when he led Taika Waiti’s best film, The Hunt For the Wilderpeople, and I am so excited that he’s being seen by a wider audience through this movie, and I cannot wait to see this kid become the star he so obviously deserves to be. 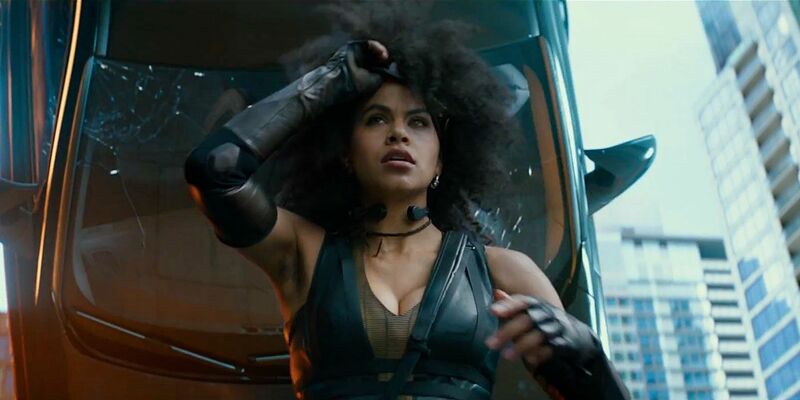 On a similar note, but on a smaller scale because of the script giving her less to do, but Zazie Beetz as Domino is another scene-stealer in this movie. Again, the script doesn’t give her a whole lot to do in general, let alone have any kind of emotional arc, but she makes the most of it, showing off a genuine charm that isn’t used at anyone’s expense, a nice reprieve from Deadpool’s (admittedly funny) schtick. Beetz has been doing some really solid work on FX’s Atlanta, despite the fact her character is probably the least fleshed out among the show’s core four actors, and should this franchise continue, I’m hoping that she can show off more of her true acting abilities in those movies, although I will always appreciate getting to see her flash a smile, all while using her character’s trademark luck to take out some baddies. Outside of those two characters, a decent Josh Brolin performance, and a couple of really strong gags (that HALO sequence is an all-timer), I really don’t have a whole lot else to say. After a promising opening fight sequence, that really felt like David Leitch would bring the fun, smoothly cut action that he and Chad Stahelski brought to John Wick, the rest of the sequences are the typical, quickly cut nonsense I expect from most action movies at this point, which was genuinely kind of a bummer. Also on the negative side, the main emotional crux of this movie expects me to care about a relationship I never really bought during the first movie (nothing against Morena Baccarin, who does strong work, again, with the little she is given here). Oh. Celine Dion’s song was really good, too. That’s all I got. Protect Julain Dennison at all costs.